When most of us travel overseas, we’re in search of world-class sights and experiences such as Argentina’s Iguazú falls and Chile’s Torres del Paine - the icons that make us endure long flights and rough roads. Unfortunately, those icons often make us overlook the “lesser” destinations, sights and experiences that make travel so rewarding. Take, for instance, the Argentine city of San Juan. Roughly two hours north of Mendoza, about which I wrote recently, the capital of its namesake province is smaller, drier and hotter than its southern neighbor - in summer, temperatures frequently rise above 40° C (more than 100° F). In fact, when I arrived around midday last Monday, the heat was almost suffocating as I emerged from my air-conditioned car. 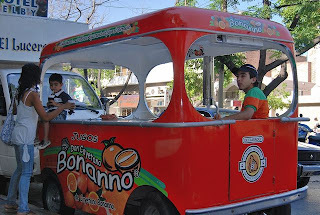 Orange juice may not be enough to justify an overseas trip, but its sheer refreshment is a small experience I always look forward to when I visit San Juan - even though it has its own notable wine district only a short distance outside the city. 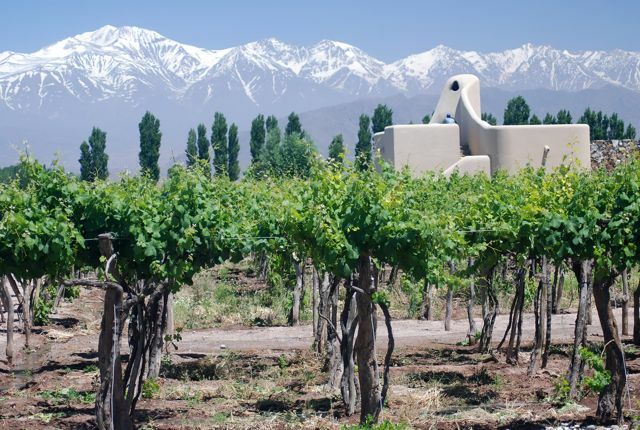 Mendoza province is Argentina’s wine cask, and over the last decade-plus its wines have begun to make a global impact, enough so that investors from Europe, North America, Chile, and elsewhere have poured funds to create some of the world’s most distinctive wineries. 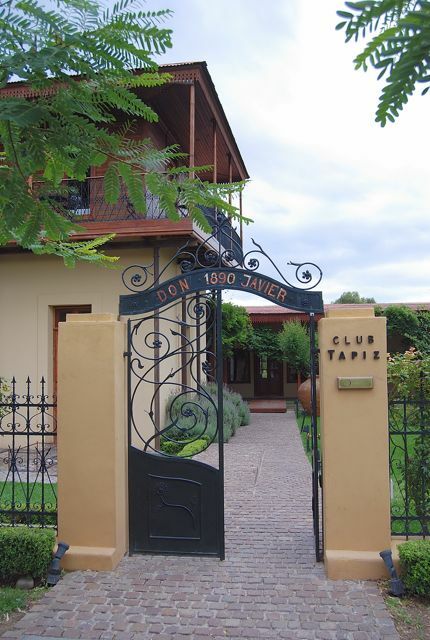 By some estimates, there are more than a thousand wineries in the province, mostly in Luján de Cuyo, Maipú, the Valle de Uco, and San Rafael. 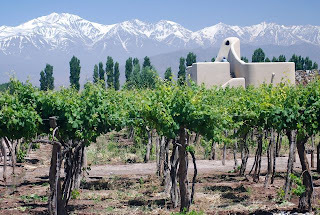 In the provincial capital city of Mendoza, US investors have created the Vines of Mendoza wine bar (pictured here) and a vinoteca in the nearby Park Hyatt Hotel, both of which appear to have been resounding successes, and used them as a forward base for a private vineyard estate project in the Valle de Uco. 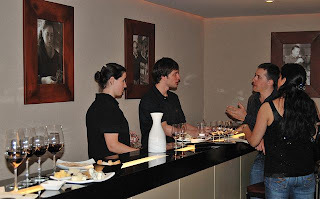 of which were open for tours and tasting - pretty much on their own. Recently, though, there’s been a proliferation of vineyard hotels, some of which, like Cavas Wine Lodge (pictured above), help organize their guests’ winery excursions and other activities - including mountaineering, river rafting, paragliding, and other adventure. Surrounded by vines, Cavas was one of the first of a group that now includes Finca Adalgisa, Club Tapiz (pictured here), and La Posada at the Finca y Bodega Carlos Pulenta. 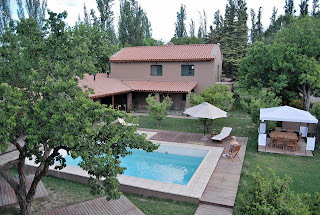 Arriving in Mendoza last Tuesday, I spent two nights at the most recent entry in the vineyard inn sweepstakes, Lares en Finca Terrada (whose website is a placeholder at present, but is due to be up shortly). Pictured here, it’s a purpose-built hotel, on seven hectares of Malbec vines in Luján de Cuyo, near the suburb of Chacras de Coria (where the owners’ other hotel Lares de Chacras, is located). Lares en Finca Terrada has only five rooms, two of them suites, and is relatively isolated on the eastern side of Ruta Nacional 7; though it’s only about five minutes by car or taxi to Chacras de Coria and its abundant restaurants, it’s not a practical pedestrian excursion, and the hotel offers occasional meals to guests only. Tuesday night was mild and windless and, as I sat on the terrace having dinner with an Anglo-German couple, the topic somehow turned to weather. 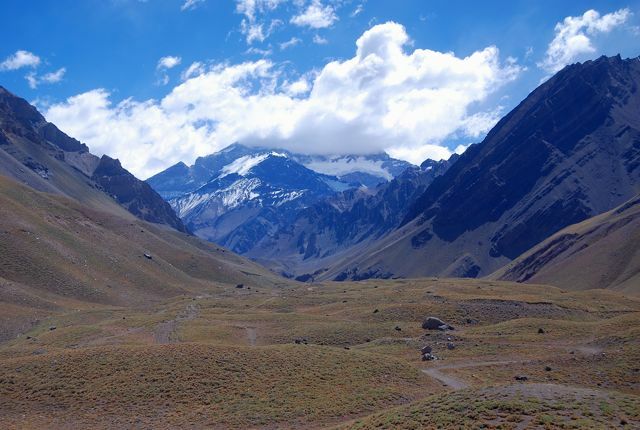 I brought up the subject of El Zonda, the Cuyo region’s fierce katabatic winds that descend from the high Andes to raise havoc, blowing dense clouds of sand and dust and even lifting corrugated metal roofs off houses. Like the North American Chinook and the European Föhn, the Zonda brings higher temperatures and a pressure drop that causes headaches and is hell on people with allergies. As it happened, I was something of a prophet. The next evening, around 7 p.m., the wind started kicking up and half an hour later it was a full-fledged Zonda as hotel personnel struggled to take down tent shelters and umbrellas before they were ripped to shreds. About that time the power went off and we were reduced to battery-powered auxiliary lighting (Finca Terrada is due to invest in an emergency generator shortly). Meanwhile, a group of four Finnish women had arrived but, with their taxi afraid to leave because of fallen trees and branches, they could not leave for a planned dinner in Chacras. Amazingly, hotel manager Edmundo Day recruited an emergency chef to come from Chacras for them, even as I was hoping to head there for dinner myself. By 9:30, though, the Zonda had subsided and I braved the drive into Chacras - through streets that were partially blocked by fallen trees or branches, and occasionally flooded because the deadfalls had clogged the acequias (irrigation canals) that irrigate the vineyards. In fact, most of Chacras was without power as well, though the excellent Chilean restaurant Mar y Monte was open. Returning to Finca Terrada around midnight, I read by candlelight - the batteries for the auxiliary lighting had run down. During the next morning’s breakfast, even as utility crews were clearing the streets and restoring power, the powerful Zonda was all anyone could talk about. 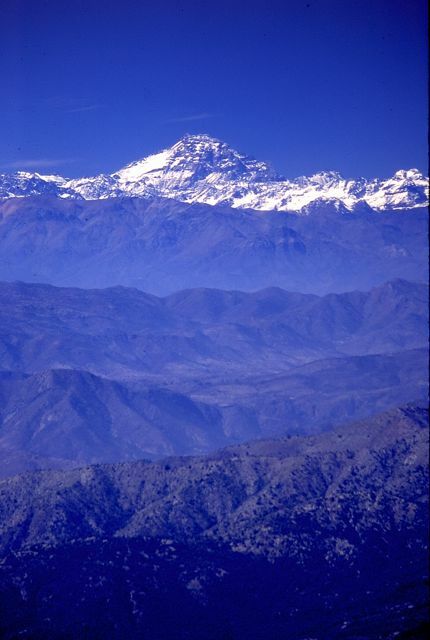 At 6,962 meters above sea level, Argentina’s Cerro Aconcagua (viewed here from Chile’s Parque Nacional La Campana) is the highest peak not just on the South American continent but in all the Americas. It attracts day hikers, trekkers, and climbers all year, though the approaching summer is most popular (in fact, the official season began on November 1, and will continue until March 15; there is a separate winter season with restrictions). Everybody who travels from Chile to Argentina over the Libertadores pass catches at least a glimpse of the park and its new visitors center, as Argentina’s Ruta Nacional 7 is its southern boundary. This is where visitors get their park permits, but it’s not quite that simple because customs and immigration - for both Chile and Argentina - are a few kilometers down the road at Los Horcones. It’s necessary to enter Argentina officially before entering the park. 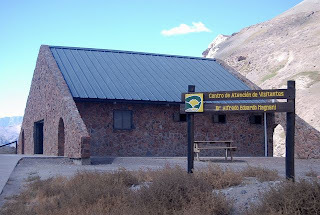 Conditions and fees for visitors to Aconcagua are available at the official website of Parque Provincial Aconcagua, which is not a national park; rather, it falls under the jurisdiction of Mendoza province, which charges foreigners substantially more for park access than in does Argentine nationals. In the December 15 to January 1 peak, for instance foreign climbers pay 1800 pesos (about US$475 per person) for a permit, while their Argentine counterparts pay only 600 pesos. 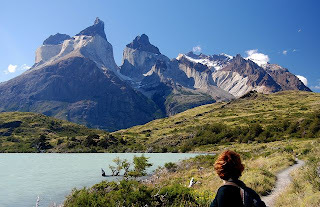 Seven-day trekking permits, to the main base camp, cost 400 pesos (US$105) for foreigners, 130 pesos for Argentines; three-day permits are 210 pesos (US$55) for foreigners, 70 pesos for Argentines. 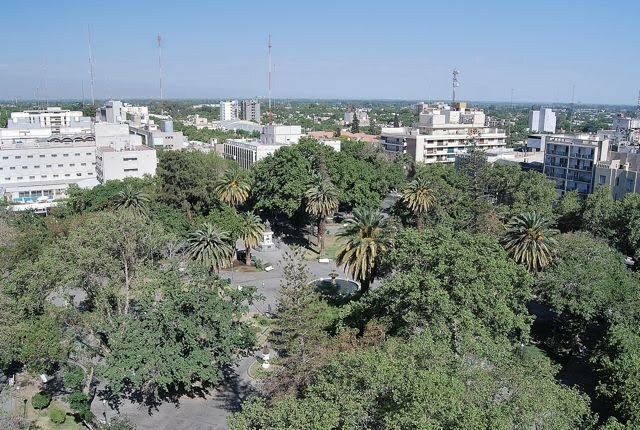 These fees are payable only in the city of Mendoza at the Secretaría de Turismo (Avenida San Martín 1143, 1st floor), but intending visitors can download the expedition permission form as a PDF. Foreign day hikers now pay 75 pesos (about US$20) except for the short hike to Laguna Horcones (US$2); these fees may be paid at the park visitor center. This is the first season in which there has been any charge whatsoever for Laguna Horcones, which offers excellent glimpses of the peak even for those who never get closer (as the trail photograph suggests). In the past, this has been a doable day trip organized from Santiago but, at present, long overdue road improvements on the almost equally scenic Chilean side are making the trip over the border a slower experience. On the way back to Santiago, by the way, all immigration and customs procedures - for both Argentina and Chile - take place on the Chilean side of the border. It’s worth adding that, while Aconcagua’s summit is literally a walkup - there is no technical climbing - the altitude and weather make it one of the world’s most dangerous peaks, and climbers die almost every season. Prime physical condition is essential for anyone even dreaming about the summit and, even then, they have to recognize when to turn back. Finally, it seems, the Southern Cone countries are getting some attention from the North American press and, in the case of Chile’s scenic “cultural capital” of Valparaíso, the profile is rising even more rapidly. 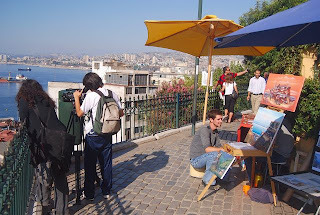 A few weeks ago, The New York Times dedicated an entire Sunday travel section to Latin America, with special attention to Santiago and Montevideo, and the latest edition of National Geographic Traveler includes a downloadable walking tour of “Valpo,” which is less than two hours west of Santiago. Almost immediately, the NYT has followed that up with its own gastronomic tour of the city, concentrating on the adjacent Cerro Alegre and Cerro Concepción neighborhoods, both reached by ascensores (funiculars) from the downtown financial district. 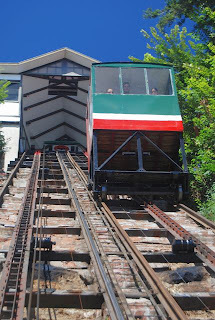 First-time visitors are often struck by the similarities with San Francisco, and not just from the way these little cable cars climb halfway up the hills: the natural landscape greatly resembles to Northern California, and the climate - with its billowing Pacific ocean fogs that often obscure the sun until late in the morning - is virtually identical, When it finally lifts, though, the views of the port city and its neighbor Viña del Mar are truly stunning. 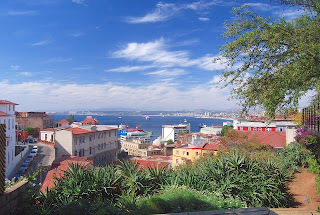 Unlike nearly every other Chilean city founded in colonial times, Valparaíso does not replicate the pattern of a central Plaza de Armas as the center of a grid of perpendicular streets. Rather, it grew spontaneously up the hillsides, with zigzag paths that became streets and, in some cases, alleyways so narrow that you can almost touch houses on both sides. Rather than a New World city, in some ways it more closely resembles a medieval Mediterranean port except that there are few buildings more than a century-plus old. Through the 19th century, Valparaíso and San Francisco were the most important ports on the Pacific coast of the Americas, with equally cosmopolitan immigrant and commercial communities. With the 1914 completion of the Panama Canal, though, commercial shipping began to avoid the long and arduous route around Cape Horn, and Valpo’s business dried up. Ironically, this preserved much of the city’s historic heritage, including Victorian and Georgian style houses that, in the case of places like Hotel Zero, have become stylish boutique hotels. That’s reason enough to make Valparaíso an overnighter - preferably several nights - rather than just a daytrip. 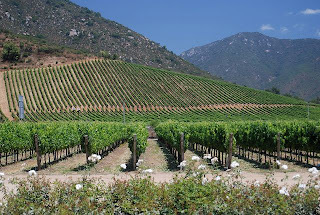 It has the additional attraction that, midway to Santiago, the Valle de Casablanca is one of Chile’s up-and-coming wine routes. Lining the highway are bodegas such as Viña Veramonte, for tasting and touring, and restaurants such as House of Morandé for fine dining. In their isolation off South America's Atlantic coast, the Falkland Islands have always been difficult to reach - so difficult, in fact, that they may have been one of the few places in the world that Europeans truly discovered, as there was no native population when Europeans first saw them in the 16th century. Even after their permanent colonization by the British in the 19th century, there was only regular sail and steamship service until the 1970s, when regular flights commenced from the Argentine city of Comodoro Rivadavia. Today there are several monthly flights from Brize Norton, in Oxfordshire, and one per week from the Chilean city of Punta Arenas. The scarcity of communications, and the small permanent population (only about 2,500 today), have meant that a cornucopia of wildlife, such as elephant seals, sea lions, and penguins has survived in prodigious numbers here. They’re part of the reason that tens of thousands of cruise ship passengers visit every southern summer, and increasing numbers of land-based travelers make their way to the islands for longer stays. Interestingly, for an archipelago that now boasts hundreds of thousands of sheep and smaller numbers of cattle and horses, plus a few odd introductions such as guanacos and foxes, the Falklands had only one species of land mammal when Europeans first set foot here: the warrah, or “Falklands wolf.” In fact, the introduction of sheep doomed the warrah, which woolgrowers shot to extinction by the 1870s. Nobody knows exactly where the warrah came from. There had long been speculation that, like the Australian dingo, it was a hybrid of domestic dog and wild canid that came from South America, but no one has ever explained satisfactorily how it got to the islands. Conceivably, if improbably, it could have come with Fuegian natives from the South American continent, but their canoes were very precarious craft to cross several hundred miles of the open South Atlantic. Some such canoes have, though, been found on Falklands shores in the past. All that speculation, though, has been overturned by DNA analysis of four museum specimens, which has determined that the warrah specimens share a common ancestor dating back some 70,000 years. 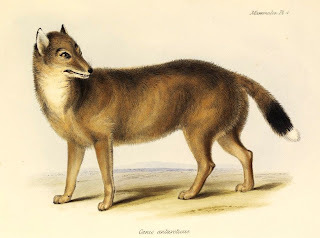 It closest living relative is the South American maned wolf, but that connection is far more remote. In any event, the warrah reached the islands long before humans did. The big question is how. Geologically, the Falklands appear to have been a rotated microplate that, before the breakup of Gondwanaland, were linked to eastern South Africa. They have never been connected to the South American continent and, even when sea level fell during the Pleistocene there would have been no land bridge. Sea level fell only about 45 meters (150 feet) at its maximum, and it would have taken a drop of 180 meters (nearly 600 feet) to unite the islands with the mainland. For the foreseeable future, then, the warrah will continue to be a mystery. Several Southern Cone destinations appear in the survey, which has more detailed commentary in the online version than in the print magazine. The highest ranked is Torres del Paine (whose iconic "Cuernos" or horns are pictured above), tied for sixth with a score of 77, despite some worries about overuse, as one commentator remarked that it was a "Great area, but the isolation and distance are more of a deterrent to a massive influx of tourism than any regulations.” The next highest, tied for 12th with a score of 71, is Easter Island (Rapa Nui) where, remarked another panelist in a similar vein, its "Relative sustainability is due mostly to the site's remoteness.” The cancellation of a proposed casino was a positive development, but some expressed concern about the new Explora Rapa Nui hotel (pictured here), relatively close to major archaeological sites on the island. Still, both destinations were considered be in good to excellent condition, even though it’s common to hear complaints about crowding on Paine’s trails and the impact of 40,000 annual visitors to a truly remote island, with a popular of fewer than 4,000 and severe water shortages. 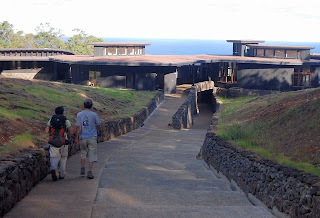 The Explora project, for what it’s worth, is surprisingly inconspicuous and built in a style that mimics the island’s historical construction techniques. In at least one instance, they altered the project to avoid damaging a cave with potential archaeological value. The Economist, however, has taken a darker view of the island’s ecological challenges. Chile’s UNESCO World Heritage Site of Valparaíso, by contrast, ties for 24th with a score of 59 as a “place in the balance,” described as “the poster child of lack of interest in developing a beautiful and traditional urban landscape" but, at the same time “a living, breathing city with tremendous visual appeal.” In reality, Valparaíso (pictured here) has the shortcomings of any port city, and it’s arguably unfair to consider it by the standards of, say, the California coast from Santa Barbara to Monterey, which gets a higher rating in the survey. Elsewhere in the magazine, Valparaíso is the subject of an outstanding walking tour, which can be downloaded as a PDF, and suggests how much the “San Francisco of South America” really has to offer. The only other Southern Cone destination rated is Argentina’s Patagonian Andes, which ties for 17th with a score of 66, comparable to the Colorado Rockies. 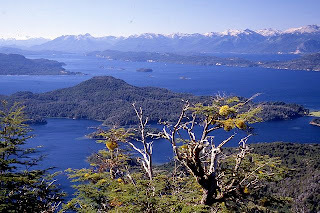 The panelists criticized the lack of environmental planning, but also praised it for "High ecological quality, extraordinary aesthetic appeal, wonderful hiking” (pictured here is Lago Nahuel Huapi, near the city of Bariloche). The strongest criticism, though came from panelists who noted the lack of effort to include Argentina’s Mapuche population in tourism development. In fact, anyone who visits the area will note their marginality - if indeed they see them at all. The Mapuche are a far more visible presence on the Chilean side of the border.